Born Nannie Mayme McKinney to Hal and Georgia McKinney on June 12, 1912 in Lancaster, South Carolina, McKinney was brought up by a great-aunt, Carrie Sanders, in Lancaster when her parents moved to New York in search of better opportunities. 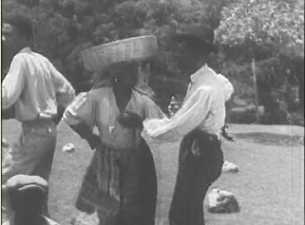 Stage struck at an early age, she appeared in plays at the black Lancaster Industrial School and taught herself to dance. 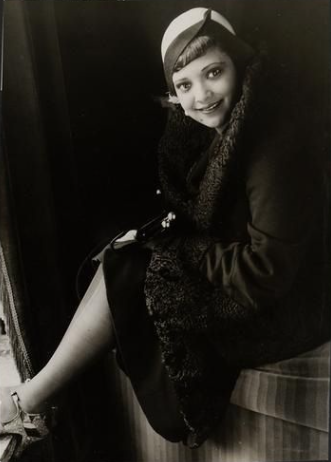 At the age of 13, she joined her parents in New York and by the age of sixteen Nannie Mayme chose the stage name Nina Mae and managed to land a role in the chorus line of the hit Broadway show ‘Blackbirds’ starring Bill ‘Bojangles’ Robinson and Adelaide Hall. Her performance caught the attention of one of Hollywood’s leading directors, MGM’s King Vidor and he cast her as bad girl, Chick, in his film Hallelujah (1929). 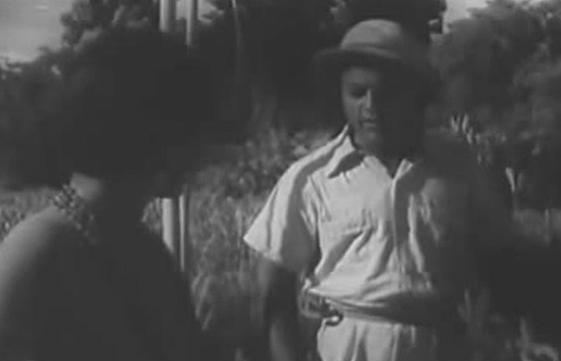 Hallelujah was billed as “a story of murder and redemption in the Deep South”, and was the first sound feature film with an all-black cast. Critics heaped praise upon the young star, and Vidor described her as ‘beautiful and talented and glowing with personality’. 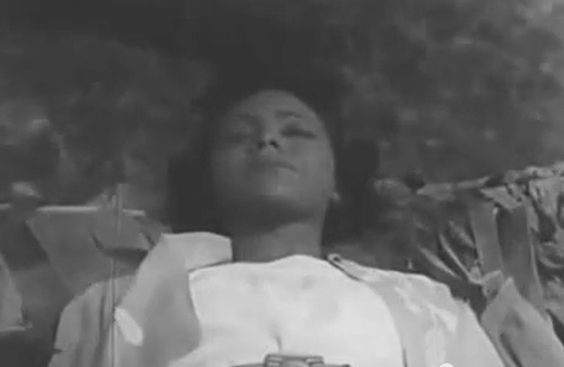 However, McKinney soon realized that there was no place in Hollywood at that time for a black leading lady. 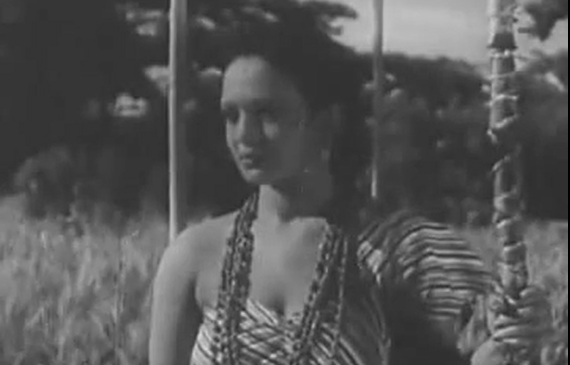 Nina’s performance netted her a five-year contract with MGM. 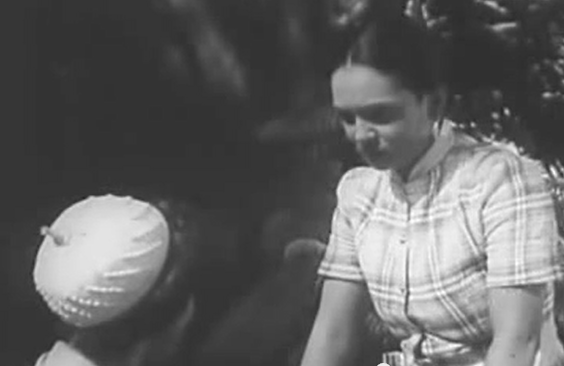 She was the first African-American actor to sign a long-term contract with a major Hollywood studio. The studio seemed reluctant to star her in feature films. 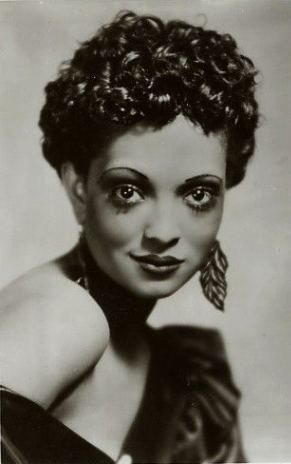 She was a leading lady in an industry that had no leading roles for black women and fell into a round of minor support roles such as a specialty singer or dancer, a vamp or the domestic in films like They Learn About Women (1930), Safe in Hell (1931), and Reckless (1935) for which most of her scenes were cut. 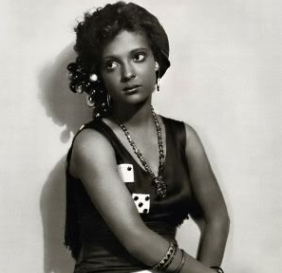 Frustrated with career limitations and unable to fulfil her potential in America, she followed in the footsteps of Josephine Baker and left the United States for Europe. 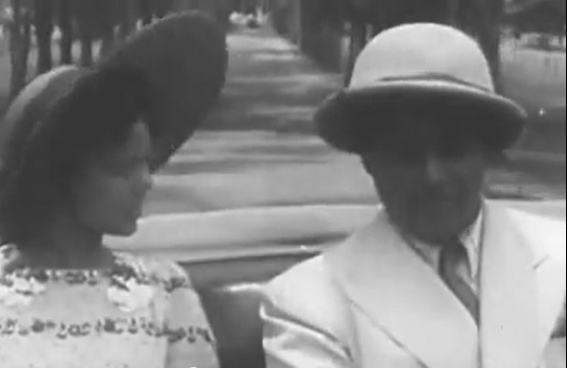 McKinney arrived in London with her accompanist, pianist Garland Wilson, to star in Chocolate and Cream, a revue at the Leicester Square Theatre. 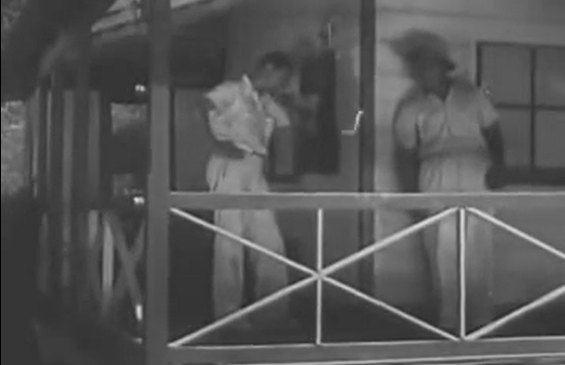 McKinney also participated in one of John Logie Baird’s experimental television programs, transmitted live on February 17, 1933 and became the first black artist to be seen on British television. 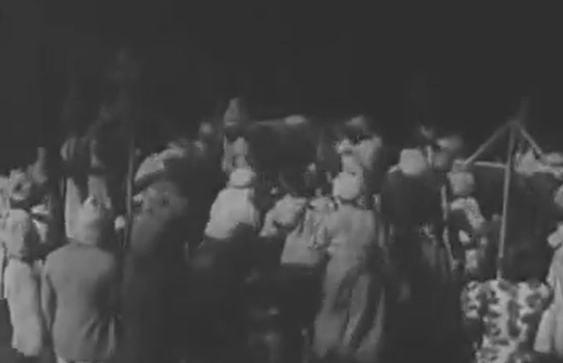 Cabaret engagements followed and, in May 1933, a Pathe newsreel captured her on stage at the Trocadero restaurant in Charles B. Cochran’s revue Revels in Rhythm. 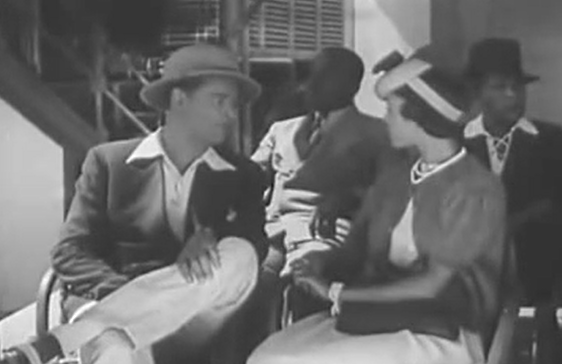 McKinney’s career in British cinema continued with a low-budget comedy, Kentucky Minstrels (1934), starring Harry Scott and Eddie Whaley, the African-American stars of the British variety stage and radio. McKinney made a guest appearance with Debroy Somers and his band. Film Weekly’s reviewer noted, “As the star of the final spectacular revue, [she] is the best thing in the picture” (Film Weekly, May 24, 1934). The following year, in a cast that also included H. G. Wells and George Bernard Shaw, she sang the jazz classic ‘Dinah’ during the broadcast of a radio show called Music Hall in BBC: the Voice of Britain, John Grierson and the GPO film unit’s ‘official’ documentary about the BBC. 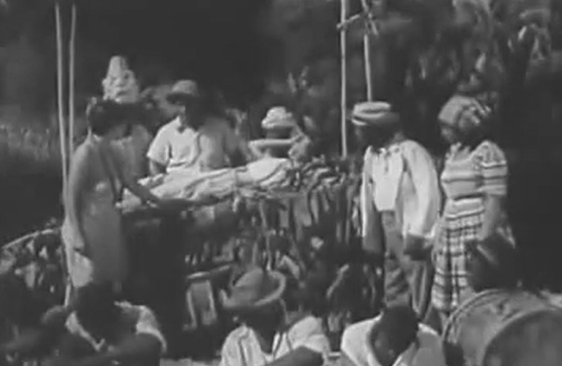 In Sanders of the River (1935), produced by Alexander Korda, she co-starred with Paul Robeson. 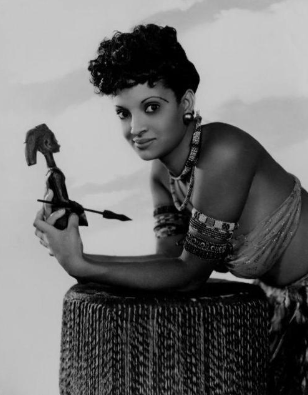 As Robeson’s African ‘native’ wife, McKinney was suitably exotic and decorative, but Film Weekly (April 12, 1935) noted that she was miscast, “as much at home in the jungle as, say, a Harlem night-club entertainer”. McKinney’s appeal to the British public broadened as she undertook several lengthy and successful variety tours. Known by now as ‘the Black Garbo’, from 1933 to 1937 she topped the bill in many of the country’s popular music halls in variety shows. At the Belfast Ritz in 1936 she was featured on the bill with Ken ‘Snakehips’ Johnson and his Jamaican Emperors of Jazz. She was among the first African-Americans to perform at the London Palladium and was part of a Royal Command Performance for King George V.
Shortly after the BBC launched its regular high-definition television service from Alexandra Palace on November 2, 1936, McKinney was contracted to star in her own variety shows, Ebony and Dark Laughter (both 1937). 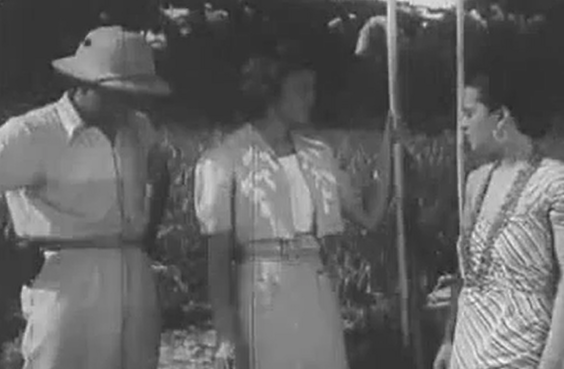 She also appeared on the BBC’s Television Demonstration Film (1937), a survey of BBC television during its first six months of operation (and one of the few surviving records of pre-war television). When WWII broke out in Europe McKinney returned to the United States to join bandleader Pancho Diggs and his orchestra on tour. Some sources state that in 1940 she married the jazz musician Jimmy Monroe, with whom she put together a band and toured the USA (other sources state they married in 1935 and divorced in 1938). She later returned to Hollywood and tried to resurrect her film career, but the only roles that were available to her were stereotypical maids to stars like Irene Dunne, Merle Oberon, and Hedy Lamarr. 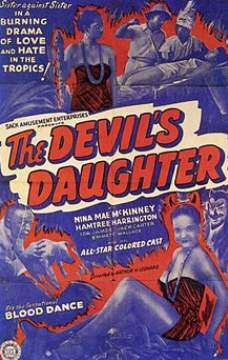 However, while Hollywood could not accept a young, beautiful black actress, she did appear in a number of all-Black-themed or race films, Gang Smashers/Gun Moll (1938), The Devil’s Daughter (1939), and Mantan Messes Up (1946). 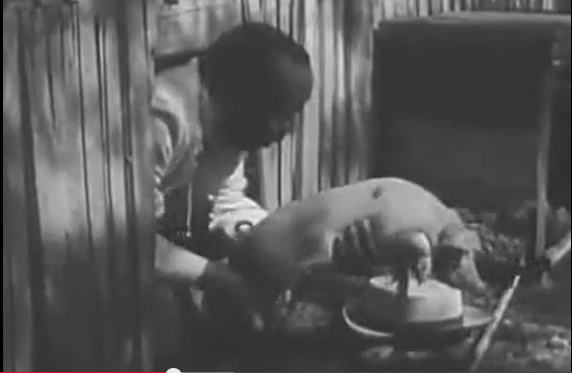 In 1949 she appeared in what many considered her finest film role, as Rozelia in director Elia Kazan’s Pinky. 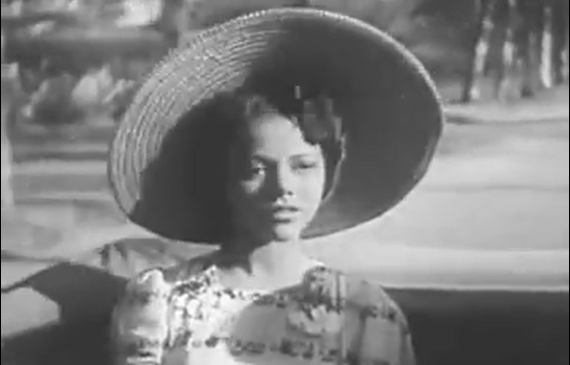 The film revolved around a light-skinned southern Black woman passing for white in the North, in which McKinney was ironically cast in the supporting role, with the lead going to a white actress. 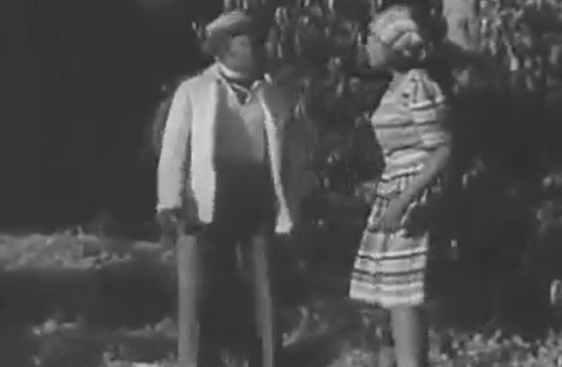 Her last film appearance was an uncredited bit part in the 1950 western, Copper Canyon. 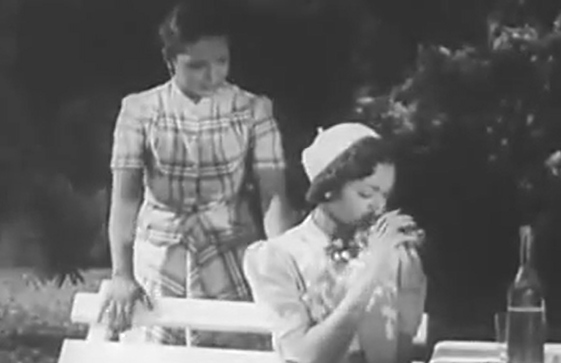 In 1951, McKinney made her last stage appearance, playing Sadie Thompson in a summer stock production of Rain. McKinney returned to Europe in the 1950s, living in Athens, Greece where she reprised her role as the ‘Queen of the Night Life’ performing in cabarets. 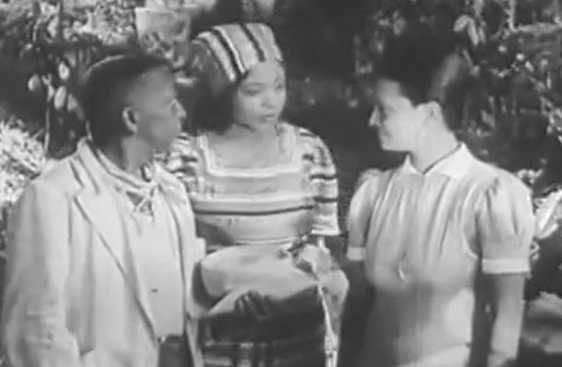 Nina Mae McKinney returned to New York in 1960. 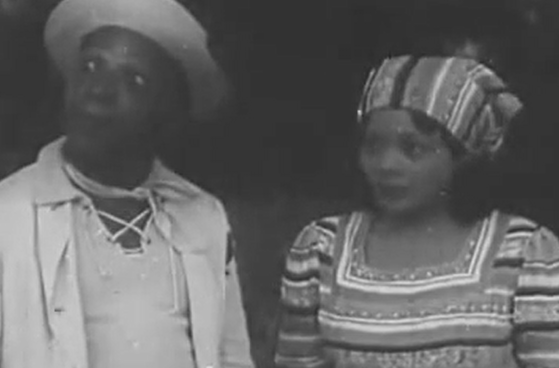 Sadly, when she succumbed to a heart attack on May 3, 1967 at the age of 54, her death went unnoticed in the entertainment industry and by the media, except for a small notice in a local paper. Trade papers such as Variety and Black publications such as Jet and Ebony didn’t even print an obituary. On her death certificate she was described as a widow and her occupation recorded as “domestic for private families.” There was no mention that she had been an actress and singer. Nevertheless her contribution to cinema was recognized in 1978 with a posthumous award from America’s Black Filmmakers Hall of Fame. Source(s): Find a Grave, Brit Movie, Black History Now, Screenonline, IMDB. Cast: Yaya DaCosta (Whitney Houston), Arlen Escarpeta (Bobby Brown), Yolonda Ross (Robyn Crawford), Suzzanne Douglas (Cissy Houston), Mark Rolston (Clive Davis). Details: On 12/3/14 Shadow and Act reported, Whitney chronicles the headline-making relationship between the iconic singer, actress, producer and model Whitney Houston and singer and songwriter Bobby Brown from the time they first met at the very height of their celebrity to their courtship and tumultuous marriage. Houston’s vocal performances in the film are sung by Deborah Cox. 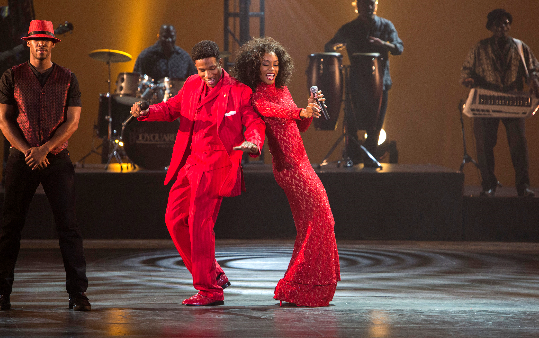 The music featured in the film includes Houston’s hits “The Greatest Love of All,” “I’m Your Baby Tonight,” “I’m Every Woman” and “I Will Always Love You” as well as Brown’s “Every Little Step.” Source: Shadow and Act. 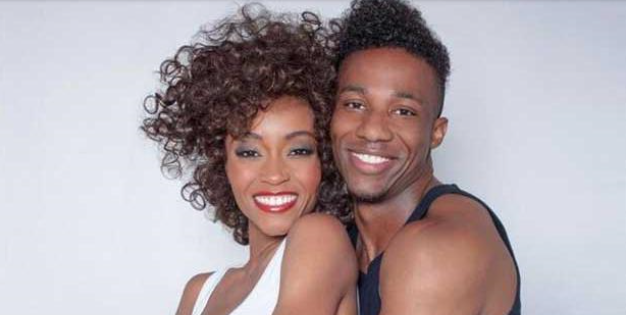 On 7/16/14 The New York Daily News reported, the first images from I Will Always Love You: The Whitney Houston Story were released earlier this week, one of which shows DaCosta recreating Houston’s iconic cover for her 1987 album “Whitney.” The other shows Escarpeta hugging DaCosta in a pose familiar to how Brown and Houston were often photographed. 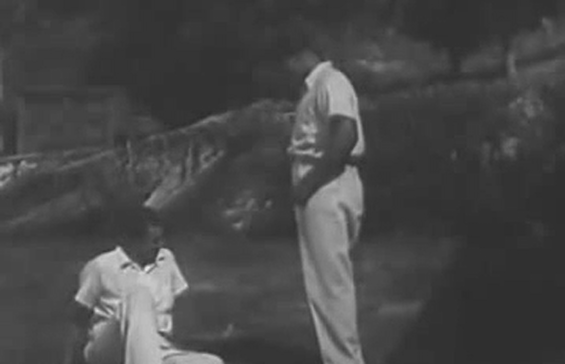 One thing DaCosta won’t be recreating is the “Greatest Love of All” singer’s vocals. E! News reports that R&B star Deborah Cox will supply the vocal tracks for the actress’ musical performances. 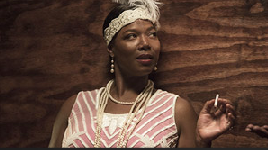 The biopic, which is being directed by Houston’s Waiting to Exhale co-star Angela Bassett, is currently filming and is expected to debut on Lifetime in 2015. Source: The New York Daily News, IMDB. Photo Source: The Wrap. According to an article published by the Daily Mail Reporter, former America’s Next Top Model contestant, Yaya Dacosta Alafia, will play Whitney Houston in an upcoming Lifetime Original Movie biopic set for release in 2015. According to Shadow and Act, the TV movie, tentatively titled “Whitney Houston” will chronicle the headline-making relationship between the iconic singer, actress, producer and model and singer, songwriter Bobby Brown. It will be set in the late 1980’s to early 1990’s, during the early years of the couple’s relationship from the first time they met to their courtship and tumultuous marriage. Veteran actress Angela Bassett will make her directorial debut from a script penned by Shem Bitterman, who also wrote the 2013 Lifetime Original Movie, Betty & Coretta, in which Bassett starred in the title role of Coretta Scott King. Alafia has some mighty big shoes to fill in playing the legendary diva, but the former reality TV star does have some acting experience as she previously had roles in All My Children, Ugly Betty, House, Lee Daniels’ The Butler, Big Words, The Kids Are All Right, and TRON: Legacy. While many fans are excited about the project, according to TMZ, Whitney’s family is ‘pissed’ about the made-for-television movie because they feel she deserves so much more. Pat Houston, Whitney’s sister-in-law, told the gossip site: “Whitney is certainly worthy of more than a television movie. If Whitney were here today, this would not be happening.” Whitney’s estate has reportedly already informed Lifetime of their displeasure and is said to be threatening a lawsuit if the network refuses to cancel production. The singer’s loved ones are planning their own big screen movie in the style of Michael Jackson’s This Is It, which they feel would be a more fitting tribute to the musical icon. Sources: Daily Mail Reporter, Shadow and Act, TMZ.